For general information or to schedule an appointment, please call us at 229.244.3000. If you feel you have a medical emergency please contact your nearest Hospital or dial 911. If you are unable to keep an appointment we ask that you give us at least 24 hour notice. This courtesy, on your part, will make it possible to give your appointment to another patient. Failure to notify our office when you cannot keep your appointment may result in a $25 deposit (refundable when appointment is kept). 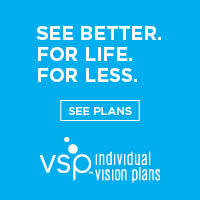 We proudly accept most vision and medical insurance plans. Major insurance companies that we are in network with are listed below. If you do not see you insurance carrier listed, you may give our office a call at 229.244.3000 and we will be glad to assist you. We are constantly adding more insurance plans to our in-network list for your convenience. Examination and Office Visits – Full payment due at time of exam or office visit. Glasses, Contact Lenses, or other Materials – ½ Down on order; balance due in full on delivery. For Patients with Insurance – All copayments, deductibles, coinsurance and/or non-covered charges are due at the time of service. Wilson Eye Center has your convenience in mind. With the NEW online patient registration portal you can fill out your patient registration any time of day. Registering online will save you and us time when you arrive for your appointment. This will ensure that you are seen as quickly as possible when you arrive for your appointment. Registration only takes about 10 minutes. Before you start the registration process, have your medical and vision insurance cards at hand. Fill out the information as accurately and completely as possible. You must fill out all required fields for the registration process to be complete. If you have any questions call our office at 229.244.3000. » Click here to begin your online patient registration.